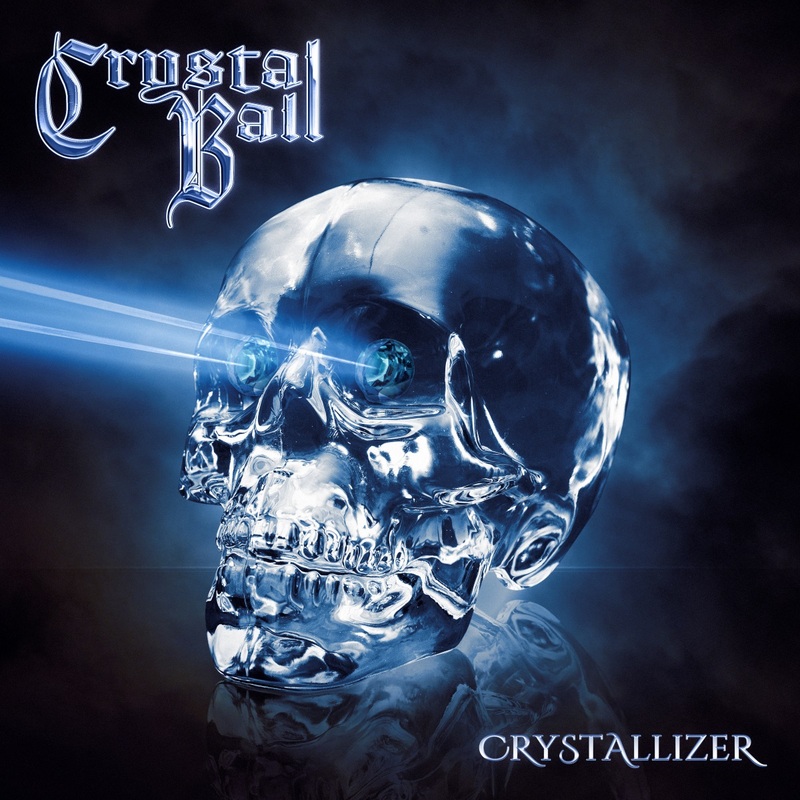 I first heard of the Swiss hard rockers Crystal Ball two years ago. The album “Déjà-VOODOO” was the ninth album by the band. In April album number 10 “Crystallizer” will be released – an anniversary so. Founded in 1995 as a cover band named “Cherry Pie” they were renamed in Crystal Ball later. Since the debut “In The Beginning” (1999) they gained a growing number of fan. They toured with well-known bands (Deep Purple, Krokus, Fredom Call, …) and performed at various festivals. In the spring of this year, they will promote their new album as a special guest of Axel Rudi Pell. Then I will be able to convince myself of the live qualities of the Swiss in Hamburg. Crystal Ball hold not last long on preliminaries. Only a short fade in and already the guitars bang out of the speakers. Already with the first sounds of the title song you are really blown away. The riffs lead to headbanging, the drums are whistling, and Steven Mageney sings in a pleasantly scratchy voice. The guitar fraction is allowed to prove their skills in a solo. The rhythmic “Curtain Call” captivates with its catchy sing-along chorus and is certainly a real hit live. To “S.O.S” you can see a lyric video on YouTube and thus equal to learn the text, as well, this song will most certainly be presented live. Producer Stefan Kaufmann (ex-Accept drummer, ex-U.D.O. guitarist) contributes an ingenious guitar solo to “Crazy In The Night”. And the two ballads of the album “Let Her Go With Love” and “Exit Wound” (Digipak Bonus) provide points of rest. Impressive the calm, but nevertheless powerful instrumentation. At the very end, “Symphony Of Life” is a great Power Metal anthem to hear. “Crystallizer” is more fun with each pass. The Swiss show a sense of great melodies. The songs are varied and have everything what the metal heart desires, power ballads, great anthems and real metal banger. With album number ten, Crystal Ball have recorded a masterpiece. Musically, they are in my opinion on par with their Swiss colleagues of Krokus, Gotthard or Shakra. This is one of the best Power Metal albums I’ve heard in recent months.